Posted on 17, October 2016 by EuropaWire PR Editors | This entry was posted in Education, Environment, Science, Transportation & Logistics, United Kingdom and tagged Jamie Hudson, marine species, native habitats, shipping, University of Southampton. Bookmark the permalink. Ciona intestinalis. Credit ‘Station Biologique Roscoff / Wilfried Thomas’. SOUTHAMPTON, 17-Oct-2016 — /EuropaWire/ — New research, led by the University of Southampton, has found that human activities such as shipping are having a noticeable impact on marine species and their native habitats. 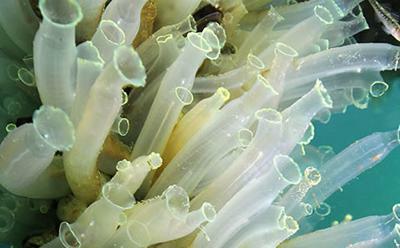 Jamie, who is based in the Ecology and Evolution Lab, added: “We found that C. intestinalis from some locations exhibited a shuffling of genetic material, as expected by human-mediated transport (boats can travel further distances than the larvae). However, unexpectedly some of the populations exhibited the opposite pattern (some populations were not genetically similar), despite there being evidence of artificial transport between these locations – this may be due to natural dispersal or premodern population structure. Taken together, the authors found dissimilar patterns of population structure in a highly urbanised region that could not be predicted by artificial transport alone. They conclude that anthropogenic activities alter genetic composition of native ranges, with unknown consequences for species’ evolutionary trajectories.